PennsylvAsia: Tickets now available for Code Geass: Lelouch of the Re;surrection (コードギアス 復活のルルーシュ) in Pittsburgh, May 5, 7, and 8. 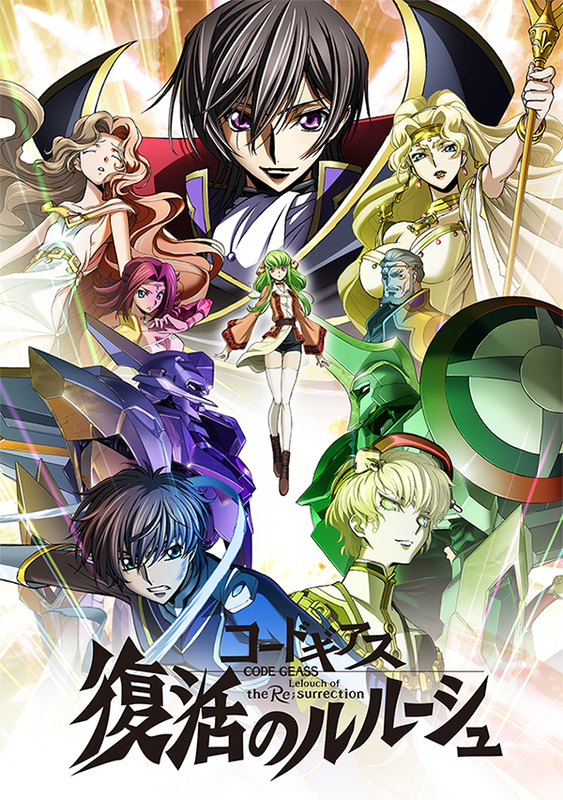 Tickets now available for Code Geass: Lelouch of the Re;surrection (コードギアス 復活のルルーシュ) in Pittsburgh, May 5, 7, and 8. He gave up his life to save the world and protect the ones he loved. The day Lelouch vi Brittannia fell was the day this war-torn world found peace. Now, as his friends work to keep the peace, a terrorist attack could risk everything. Can the brilliant tactician outwit death and save them all? Or will Lelouch’s legacy fall here? The movie will play at the AMC Loews Waterfront and the Cinemark in Monroeville, and tickets are available online. The May 5 show is in Japanese with English subtitles, while the May 7 and 8 shows are dubbed in English.